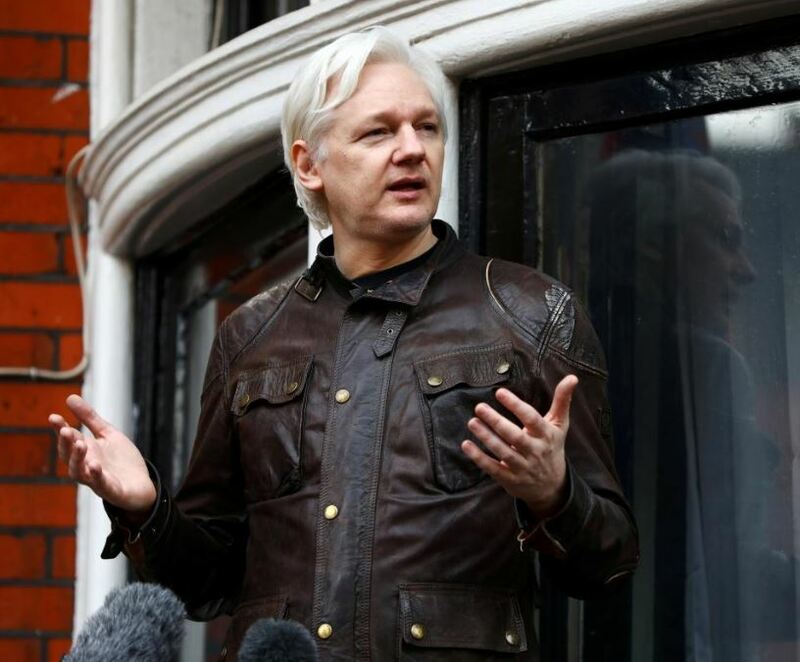 WASHINGTON (Reuters) – American prosecutors have obtained a sealed indictment against Wikileaks founder Julian Assange, whose website published thousands of classified U.S. government documents, a U.S. federal court document showed on Thursday. A source familiar with the matter said the document was initially sealed, but was unsealed this week for reasons that were unclear. “The notion that federal criminal charges could be brought based on the publication of truthful information is an incredibly dangerous precedent to set,” Barry Pollack, his U.S.-based attorney, said in a statement. U.S. officials had no comment on the disclosure in the document about a sealed indictment of Assange. It was not clear what charges he would face. Officials in the United States have previously acknowledged that Virginia-based federal prosecutors have been conducting a lengthy criminal investigation into WikiLeaks and its founder. Assange and his supporters have periodically said U.S. authorities had filed secret criminal charges against him, an assertion that some U.S. officials pushed back against until recently. U.S. prosecutors are investigating alleged Russian interference in the 2016 U.S. presidential election and possible collusion by U.S. President Donald Trump’s campaign. Both Trump and Moscow have denied any interference or collusion. Wikileaks has faced scrutiny for publishing emails hacked from the Democratic Party and the campaign chairman for Trump’s rival candidate, Hillary Clinton, before the 2016 contest. U.S. intelligence agencies have concluded the material was obtained by Russia through hacking, and U.S. Special Counsel Robert Mueller’s office has charged a number of Russians and Trump associates as part of his investigation. Mueller’s office is also questioning Trump ally Roger Stone and others in his circle over their ties to Wikileaks, according to lawyers and some of those in Stone’s orbit who have testified. U.S. criminal charges against Assange would further put pressure on Britain to extradite the Australian national, who has been holed up in Ecuador’s London embassy since 2012 to avoid extradition to Sweden in a separate sexual molestation case. Reuters was unable to trace contact details for Kokayi. Joshua Stueve, a spokesman for the prosecutors’ office that filed the document, told Reuters the court filing was an error. Prosecutors sought to keep the charges confidential until after Assange’s arrest, the document shows, saying the move was essential to ensure he did not evade or avoid arrest and extradition. Greg Barns, an Australian lawyer advising Assange, said in an emailed statement it was “no surprise” that the United States was seeking to charge Assange and that Australian officials should allow Assange to return there. Assange was initially welcomed at Ecuador’s embassy, but Ecuadorean authorities this year have begun to distance themselves. Last month, Ecuador said it would no longer intervene with Britain on his behalf. In a statement on Friday, Wikileaks said Assange was willing to work with British officials as long he was not extradited to the United States. The website gained prominence in 2010 after publishing a classified video showing a 2007 U.S. helicopter attack in Iraq that killed a dozen people, including two Reuters news staff. It has also released thousands of classified U.S. military documents, among other disclosures. Mike Pompeo, now U.S. Secretary of State, called Wikileaks a “hostile intelligence service” during his tenure as Trump’ CIA chief. Assange’s lawyers and others have said his work with Wikileaks was critical to a free press and was protected speech. “Any prosecution … would be unprecedented and unconstitutional and would open the door to criminal investigations of other news organizations,” said Ben Wizner of the American Civil Liberties Union.